We offer a non sticky, easy to boil variety of Raw Rice to customers in India. Our Raw Rice is widely acclaimed for its high nutrition value, rich aroma, regular size and natural flavor. It is naturally white and has a soft texture. 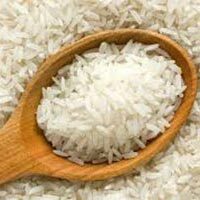 We are a noted Raw Rice Manufacturer and Supplier in Chhattisgarh (India). We ensure that our Raw Rice is free from unwanted materials before delivering them to our valuable customers.